Philadelphia radio broadcasting history archive. Exclusive images, interviews, research, and discussion. The Philadelphia Radio Archives is proud to offer this original profile of one of the city's most popular stations. 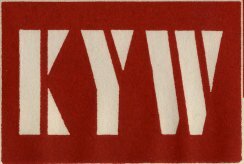 The history of KYW is an interesting story about how a station originally located in Chicago and temporarily located in Cleveland came to become a Philadelphia institution. 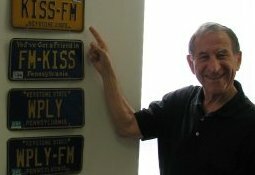 The former owner of Philadelphia's Kiss 100 and Y100 discusses his career in radio and the industry in general. 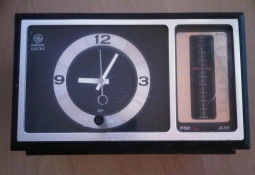 Learn about the rise of FM radio and the development of the ubiquitous adult contemporary format. Alan Boris, founder of the Philadelphia Radio Archives, has written a book about the history of Philadelphia radio. 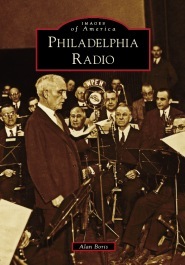 Published by Arcadia Publishing in their "Images of America" series, the book is entitled Philadelphia Radio and is available at local bookstores and most online retailers. Visit the author's page for more information. User "TheHGN2001" has uploaded some great audio and video about classic Philadelphia radio. See some clips from TV coverage of local radio, as well as audio uploads of WFIL-FM and some of the music the station used to play. The newest profile on the Philadelphia Radio Archives is for 102.9 FM, which traces its history back to 1940 and was known for many years as WPEN-FM. After more than 30 years, the WPEN-FM calls returned to the air over 97.5 FM. 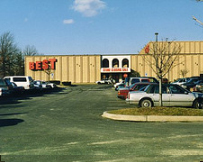 Check out my recently updated Flickr Photostream of classic Cherry Hill images.